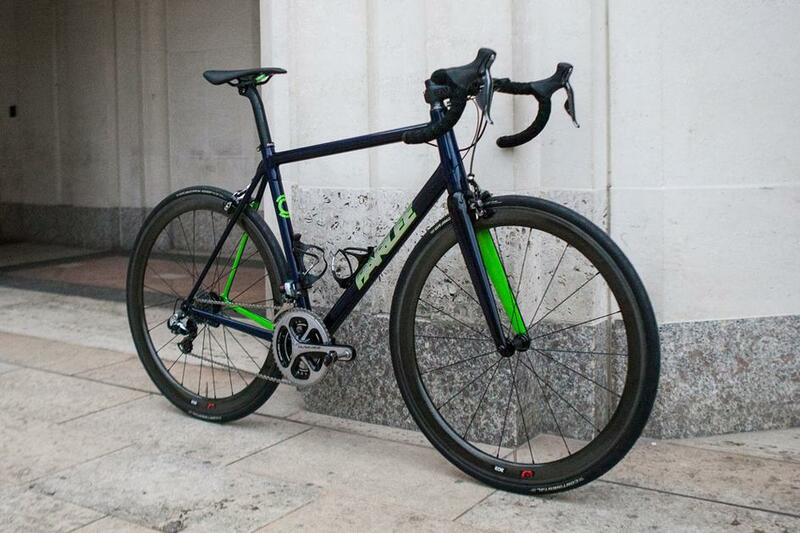 A Parlee Z-Zero for Ian in Candy Blue tint with fluo green accents, a stunning colour palette that's carried over into the bar tape and the saddle. Some found the colour scheme divisive, but what do you think? Dura Ace Di2 provides the very best drivetrain, Zipp 303s transfer that power to the road and add an aero advantage at low weight. ENVE keep the cockpit light and strong. See more of this recent build here , and the other contenders here .